Neil Patrick Clairmont was born in Parry Sound, Ontario May 16, 1947 to Alvin and Ida Clairmont. Clairmont was the second of four children. His older brother Wayne was inducted into the Bobby Orr Hall of Fame in 2005. Clairmont also has two younger siblings Paul and Jeannie. The Clairmont family grew up on River Street next to the Seguin River and took advantage of a natural ice rink on the river during winter months. It is here that the Clairmont family became very close with their neighbours, the Orrs. At the bright age of four, Clairmont received his first pair of skates, a hand-me-down from his older brother Wayne. With these skates, Clairmont began his hockey career at the age of 5 playing in the Parry Sound Minor Hockey system at the Community Centre. He quickly became a natural skater, playing alongside his good friend Bobby Orr. Coincidently their team was called the Bruins. Clairmont today remembers the Parry Sound Community Centre as an “extremely cold” arena and it was always a bonus to lace up next to the boiler room. Back in the 1950’s helmets were just becoming a standard piece of hockey gear. Clairmont remembers wrapping a towel around his head and wearing knitted gloves under his hockey gloves to keep warm. At the age of 10, Clairmont quickly became noted for his skating and playing abilities and became a dominating member of the Parry Sound Squirt Shamrocks. In 1957 he and his teammates astounded many hockey enthusiasts by winning the All Ontario Squirt Championship. Over the next five years, Clairmont continued to excel through the minor hockey system playing for several All-Star teams. While playing for the Pee-wee All-Star team Clairmont fondly remembers being coached by Royce Tennant. Bill Gilchrist and Royce Macklaim, were avid supporters of local hockey and were instrumental in the organization of a visit by Clairmont and his teammates to a Toronto Maple Leafs game at Maple Leaf Gardens. It was here that Clairmont’s ambition and dreams for the game became solidified. During his Bantam and Juvenile years, Clairmont recalls receiving some of his best coaching and learning many valuable skills from former NHL-er Wilfred “Bucko” MacDonald. In 1962, Clairmont spent his last year of local hockey playing for the Parry Sound Juvenile C Shamrocks. The team went on to capture the Championship where he was scouted by Bob Davidson, Buck Houle and Jim Gregory of the Toronto Maple Leafs. 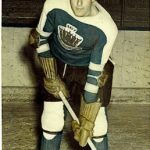 In the spring of 1963, Clairmont reached another milestone in his career by being drafted an impressive 12th in round 2 of the NHL Amateur Draft, with many soon to be pros such as Brad Park of the New York Rangers and Mike Byers of the Los Angeles’ Kings. The Toronto Maple Leafs organization sent Clairmont to play for their Junior B team the Neil McNeil Maroons to gain further experience from 1963 to 1965. As an impressionable 16 year old he fondly remembers traveling daily on several buses, subways and street cars to play at the historical Maple Leaf Gardens. 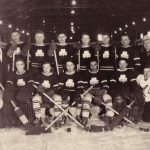 After two years with the Maroons, Clairmont moved up to play for the Maple Leafs owned London Ontario Junior A team, the London Nationals. It was here that Clairmont became the roommate of Jim Dory, who eventually ended up playing for the Toronto Maple Leafs and Walt McKechnie who became a player for the Minnesota North Stars. Clairmont played with the London Nationals from 1965-67 until he was eventually traded to the Peterborough Pete’s Hockey Club for his final year of Junior A Hockey. In 1967, the Maple Leafs training camp wanted to send Clairmont to the Eastern Hockey League in Jacksonville, Florida, an interesting prospect, but far from home. Clairmont called his brother and fellow hockey player Wayne to share the news. Wayne, who at the time was playing in the same league in Nashville Tennessee, suggested Clairmont try out for the Nashville Dixie Flyers. Clairmont jumped at the opportunity to play alongside his brother and quickly earned his spot on the roster. 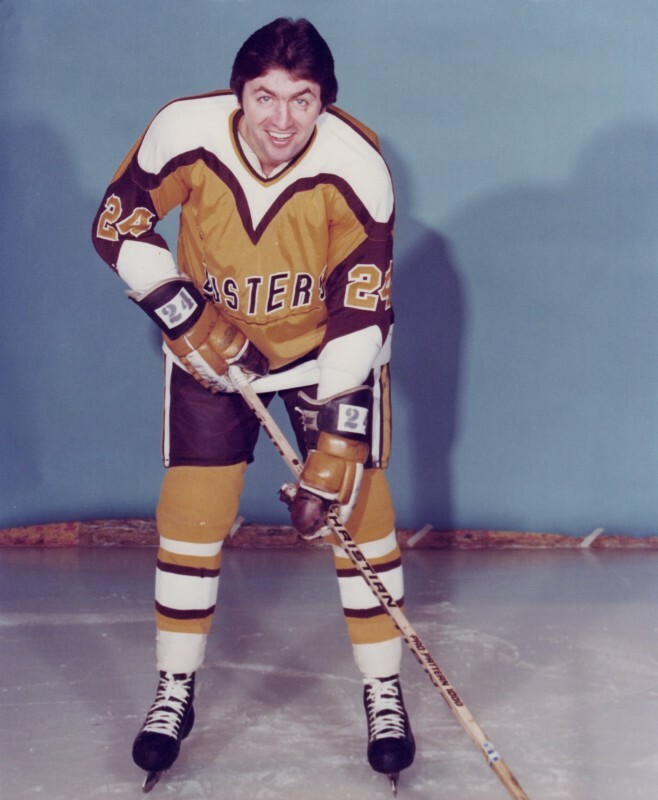 In two seasons with the Flyers Clairmont amassed 64 goals and a total of 133 points. 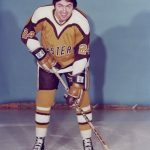 It was during his second year in 1969 that Clairmont and the Dixie Flyers went on to the seventh game of the Lockhart Cup, in the Eastern Hockey League. They lost to the Clinton Generals in the finals. At seasons end Clairmont decided to return home to Parry Sound and joined the Molson Breweries organization, working during the off season. While in Parry Sound, Clairmont commuted to play for the Barrie Flyers in the Senior A League. Clairmont was then approached by former Nashville teammate and centre ice-man, Cliff Pennington to play for his team in the International Hockey League which was located in Des Moines, Iowa. Clairmont played with Des Moines for a year and was eventually traded to Port Huron, Michigan. He played in Port Huron for the rest of the 1970 season. In 1971, Clairmont was traded back to the Eastern Hockey League and played for the St. Petersburg Sun Coast Suns in Florida where his talent was used to play both forward and defense until 1972. While playing for the Sun Coast Suns, friend, former minor hockey teammate and current NHL superstar Bobby Orr was spreading word of Clairmont’s talent to scouts for the American Hockey League. This resulted in Clairmont being scouted to play for the Boston Braves, the farm club of the Boston Bruins, where he played the 1972 and 1973 seasons..
Clairmont was eventually traded by the Boston Braves to play for the Broome Dusters in Binghamton, New York. 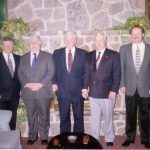 Clairmont’s final years of hockey were spent with this team — a team that included player Roddie Bloomfield, was owned by Jim Matthews, managed by Ron Orr, and coached by Clairmont’s brother Wayne. All of these individuals were originally from Parry Sound and had grown up in the same neighborhood as Clairmont. It was in Binghamton that Clairmont met future wife, Joye, a Registered Nurse. Clairmont decided to retire from hockey in 1977, and on September 12, 1981, Joye and Clairmont were married. They made Binghamton their home and their first child, Ryan, arrived on November 21, 1982. . Daughter Katie joined the family on October 1, 1984. 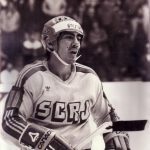 After leaving pro hockey, Clairmont began working for the trucking industry with Consolidated Freightways alongside his brother Wayne. He stayed with this company for 27 years, until his retirement in 2005. Clairmont and Joye continue to live in Binghamton New York. Wanting to keep busy, Clairmont still works part-time for Lourdes Hospital Regional Cancer Center as a driver of the mobile Mammography van for the Cancer Prevention and Screening Unit within the Binghamton area. Today Clairmont’s children are all grown up. Ryan, 24, graduated from Binghamton University and currently works in Market Development. Clairmont’s daughter Katie, 22, recently graduated from St. Bonaventure University and majored in Elementary and Special Education. She will be attending Graduate school in the fall. Clairmont recently decided, after over 50 years of hockey, to finally hang up his skates and retire from the old-timers league. He knew it was time when many of his teammates teased him by saying he should put bells on his skates so they could tell if he was moving. neighbour and teammate, Bobby Orr. Clairmont also enjoys traveling as much as he can and often travels to Canada to visit and spend holidays with family and friends. Clairmont’s outstanding achievements and dedication to the sport of hockey make him more than worthy of taking his rightful place as a new inductee into the Bobby Orr Hall of Fame.